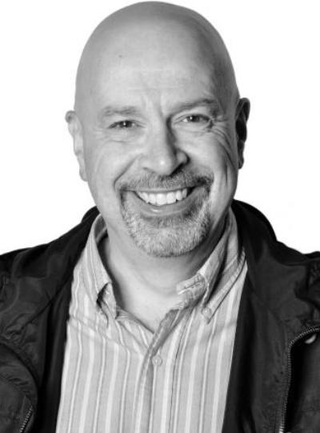 Dr Paul McDonald is the Course Leader for Creative and Professional Writing, based at the Wolverhampton City Campus. His academic background is in English literary criticism, and his interest in creative writing began when his first novel was published in 2001. Now his teaching focuses principally on creative writing, both fiction and poetry, although he also teaches modern literature of all kinds, and runs a module on contemporary American writing. He is interested in regional writing too, specifically Black Country fiction, and in humour, particularly literary and postmodern comedy. Paul has been teaching in higher education for over twenty years both at undergraduate and postgraduate level, and has worked full-time at the University of Wolverhampton since 1994. His approach to teaching creative writing stresses the connection between creative ability and critical reading, and he has developed a number of courses which takes this relationship as a starting point. His teaching also covers humour, contemporary American literature, and Black Country writing, and he provides supervision to PhD level in his research areas. Recent writing commissions include: Writing West Midlands, 2008 (fiction), Glasshouse Books, 2009 (fiction), Taylor Herring Ltd, 2008 (scholarly research), Icon Films Ltd, 2010 (script research), The Independent on Sunday 2010 (article), Tindal Street Press 2008 (masterclass article), Project Pigeon 2011 (fiction/poetry). Paul has conducted creative writing workshops in a variety of contexts for numerous institutions, including at literary festivals, prisons, schools, libraries and colleges across the UK. Overseas teaching experience includes the BEd for Overseas Teachers Programme at Hong Kong Polytechnic-University, Kowloon, China. The One Show BBC1, 12/8/2010. Interviewed as part of the film, Ye Olde Stand Up, directed by Dominic Western and presented by Barry Cryer. BBC Breakfast 1/8/2008, interviewed as a humour scholar. Two slots, 7am, 9am. BBC Midlands Today 1/8/2008, interviewed as a humour scholar. Also interviews as a humour scholar with: BBC World Service, BBC Radio 5,Sky News, and 30+ regional radio stations. Other media appearances as an author of fiction include: Inside Out, BBC1, November 11th, 2004. (TV Interview); work as a ‘Bacon Buddy’ on the Richard Bacon Show, BBC Radio 5, and numerous interviews on West Midlands radio stations. 2007. Catch a Falling Tortoise (Blaenau Ffestiniog: Cinnamon Press). 64 pages. ISBN: 9781 905614226. Poetry. 2002. Fiction from the Furnace: A Hundred Years of Black Country Writing (Sheffield: Sheffield Hallam University Press) 122 pages. ISBN 0-86339-992-4. Criticism. 1999. The Right Suggestion (Birmingham: Flarestack Press) 41 pages. ISBN 1 900397 29 5. Poetry. 2012. (Selection and Introduction). The Tipping Point: The Winners and Shortlist of the Rubery Book Award Short Story Competition 2011. (Birmingham: Rubery Press, 2012). 135 pages. ISBN-13: 978-0955425240. *2009. ‘The Funny Side of Nature: Whitman, Ginsberg and America’s “Dark Poet.”’ Journal of Ecocriticism, Vol 1, No 2 ISSN 1916-1549. Criticism. *2006. ‘”They’re Trying to Kill Me:” Jewish American Humour and The War Against Pop Culture.’ Journal of Popular Culture. 28, 3, April. pp.19-35. ISSN 0888-5753. Criticism. 1999. 'American Paleface and Redskin Humour.' Australian Journal of Comedy, 5, 1, Pp 7-25. ISSN 1322-7378. Criticism. 1998. ‘The Unmanning Word: Language, Masculinity and Political Correctness in the Writing of David Mamet and Philip Roth.’ Journal of American Studies in Turkey. 7, Spring, Pp 23-30. ISSN 1300 6606. Criticism. 2014. ‘Who Are Ya,’ in Polly Stocker, Elisabeth Charis, and Jonathan Davidson (eds), A Midlands Odyssey (Birmingham: Nine Arches Press) 61-71. ISBN: 978-0-9927589-8-1. Short story. 2014. ‘Emotional Force, Unity, Epiphany, and Ellipsis: What Short Story Writers Can Learn from Poets.’ In Saptarshi Mallick (ed) Images of Life, Creative and Other Forms of Writing (Kolkata: The Book World) 55-66. ISBN: 978-93-81231-03-6. Article. 2010. ‘Don’t Be a Sucker, Sink Your Teeth In.’ In Bobby Nayyar (ed.) Bloody Vampires (London: Glasshouse Books) pp. 7-23. ISBN: 9781907536663. Fiction. 2010. ‘Jim Redlake: The Education of an Artist.’ In Francis Brett Young Society (ed) A Journey with Francis Brett Young. (Keele: Keele University; FBY Society). Pp. 67-72. ISBN: 978-1898844-19-8. Criticism. 2004. ‘Did You Hear the One About God? Representations of Religion in Post-war Jewish-American Comedy.’ In Derek Rubin; Hans Krabbendam (eds). Religion in America: European and American Perspectives. (Amsterdam: Amsterdam University Press). Pp. 155-164. ISBN: 9053838996. Criticism. 2004. ‘The Utopias and Dystopias of Generation X.’ In Jaap Verheel (ed). Dreams of Paradise: Visions of Acopalypse: Utopia and Dystopia in American Culture (Amsterdam: Amsterdam University Press) Pp 200-208. ISBN 90 5383 898 8. Criticism. 2004. 'Stand-up Comedy as Poetry: Transcendentalism and Romantic Anti-Capitalism in the Work of Bill Hicks'. In Klaus Martens, Paul Morris, Arlette Warken (eds). A World of Local Voices: Poetry in English Today. (Königshausen u. Neumann) Pp. 115-123. ISBN: 3826026357. Criticism. ‘”Make Sure You Don’t Murder Your Coffee!” Comedy and Violence in the Poetry of Luke Kennard,’ Writing of Violence, Violence of Writing? University Paris IV Sorbonne, April 9-11, 2015. ‘Being Brown in the Black Country: Comedy, Dialect and British Asian Identity in Meera Syal’s Anita & Me’ Symposium: Black Country Landscape in Literature.’ Forthcoming November 6th, 2014. 2013. ‘The Worst Lesson that Life Can Teach’: Philip Roth’s Campus Fiction.’ At Rhetoric as Equipment for Living. Kenneth Burke, Culture and Education (Ghent University, 21/5/13-26/5/13). 2011. ‘“That’s what you get for being a murderer:” Crime, Comedy and Postmodernism in the Poetry of Luke Kennard.’ At Re-thinking the Monstrous: Violence and Criminality in Society. Ludwig-Maximilians-University Munich, Germany. 1-3 July. 2010. ‘”The Backcombed Byron”: Postmodern Beat Spirituality and the Comedy of Russell Brand.’ At ‘Tools of the Sacred, Techniques of the Secular: Awakening, Epiphany, Apocalypse and Doubt in Contemporary English-Language Verse.’ An International Poetry Conference Université Libre de Bruxelles (ULB). Brussels, 4 to 7 May. 2009. ‘Slacker as Comic Shaman: Laughter and Spirituality in the Work of Douglas Coupland and Bill Hicks.’ At Interdisciplinary Approaches to Spirituality in the Literatures of the English-Speaking World. University of Vienna (Austria) 6-9 July. 2008. ‘The Funny Side of Nature: Whitman, Ginsberg and America’s “Dark Poet.”’ Poetic Ecologies: Nature as Text and Text as Nature in English Language Verse. Free University of Brussels 14th-17th of May. 2006. ‘Humour and the American Short Story: The Little Man Revisited.’ Views from the Edge: The Short Story Revisited. 9th International Conference on the Short Story in English. University of Lisbon, Portugal. June 21-25. 2004. ‘”They’re Trying to Kill Me!”’ Representations of World War Two in Jewish American Humour.’ The Story of World War II. Netherlands Association for American Studies Annual Conference. Vrije University Amsterdam. 21/6/04-23/6/04. 2004. ‘Political Correctness and Joking Frames in the Drama of David Mamet.’ Conference of the David Mamet Society. London, 11/6/04-13/04. 2001. ‘Did You Hear the One About God? Representations of Religion in Post-war Jewish-American Comedy.’ Religion in America. Netherlands Association for American Studies Annual Conference. Middelburg, Holland. 6-8th June. 2001. ‘From Sexual Perversity to Social Perversity: David Mamet Then and Now.’ Crucible of Cultures: Anglophone Drama at the Dawn of the New Millennium. University of Brussels. 16-19th May. 2000. ‘The Utopias and Dystopias of Generation X.’ Dreams of Paradise: Visions of Apocalypse: Utopia and Dystopia in American Culture. Netherlands American Studies Association Annual Conference. Middelburg, Netherlands. June 14-16. 2000. 'Mainstream Transformations of Counter-culture Phenomena: From Beats to Slackers.' Culture Agonistes: Text Against Text. Hellenic Association for American Studies, University of Athens, Greece. May 25-28, 2000. 1999. 'Stand-up Comedy as Poetry: Transcendentalism and Romantic Anti-Capitalism in the Work of Bill Hicks'. A World of Local Voices: English Language Poetry Today. University of Saarland, Saarbrucken, Germany. October 22-24. 1998. ‘The Down and Out in the Narratives of the American Counter-Culture: Then and Now.’ Beggars Description: Destitution and Literary Genres. An International Literary Conference. University of Groningen, the Netherlands. 11-13 November. 1997. 'The Unmanning Word: Language and Masculinity in the Work of David Mamet and Philip Roth.' David Mamet at 50. Conference of the David Mamet Society, University of Nevada, Las Vegas, USA. 30th October-2nd November. 1997. "Keeping the Dream Alive: Optimism in Contemporary American Humour". The Seventh Tampere Conference on North American Studies, Sustaining Belief: North American Optimism. University of Tampere, Finland, 17-19 April. 1996. "Memoirist Under-Erasure: Ontological Ambiguity as Liberating Space in Philip Roth's Postmodern Fiction", All By Myself: Autobiographical Writing University of Groningen, Netherlands, 13-17 November. 1996. "The White and Pleasant Land: England as a Symbol in the Recent Writing of Philip Roth" The Revision of England in Film and Literature 1945-1995, University of Kingston, 15 July.